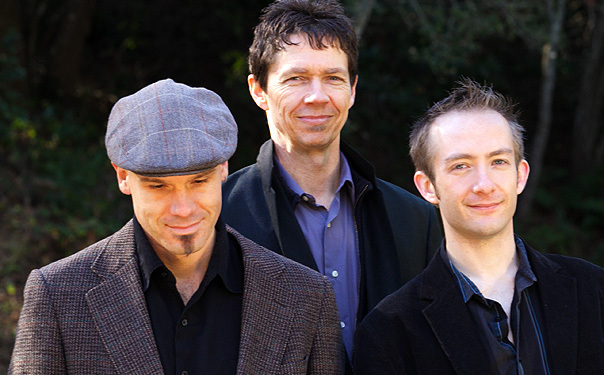 With the retirement of founding member Pete Haworth, Molly’s Revenge became a dynamic Celtic trio featuring David Brewer (pipes, whistles, bodhran), John Weed (fiddle), and Stuart Mason (guitar, mandola). Our performances with the new lineup have been marked by full houses and standing ovations. We are very excited about the opportunities for collaboration as we move forward, and we’ve already booked gigs with guest vocalists including Moira Smiley, Colleen Raney, Zac Leger, Christa Burch, and Peter Daldry. We also work closely with Rebecca Lomnicky, a rising star and champion Scottish fiddler.